Uniquest's mission is to provide superior technical representation and to add value to a focused group of leading-edge corporations. It is our objective to offer synergistic, valuable and highly innovative solutions for our customers' design, procurement, and manufacturing needs thus making it a priority to continually improve our quality, services, and productivity at a competitive advantage. 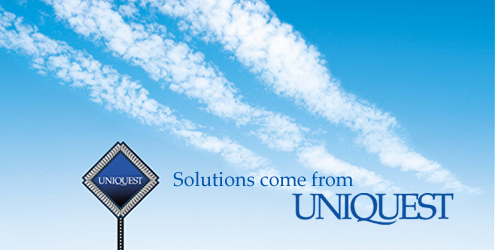 Uniquest provides a comprehensive range of services, information tools and processes that help our customers achieve their goals. Through the integration of electronic component design and expertise in inventory management challenges, design decisions are easier and result in quicker time-to-market.